Set up an EMV- and Bluetooth-enabled iZettle terminal for use with iZettle payment processing in Lightspeed Retail. Before proceeding, you must set up an account for your business with iZettle (https://www.izettle.com/gb/register). To ensure payments are processed through iZettle in the same currency as your store, the currency you've specified for your store and the currency you've set for your account with iZettle must be the same. Power on the iZettle terminal by pressing the power button on the top-right corner of the device. NOTE: When it’s not being charged, the iZettle's display automatically turns off after a few minutes to preserve battery life. Pressing any key turns it on again. After 20 minutes, the terminal turns off completely. When you power on the terminal for the first time, it automatically enters pairing mode. If the terminal was previously paired with another device, start pairing mode by pressing the blue check-mark key on the terminal's keypad for about 5 seconds until the Bluetooth pairing symbol displays. On your iPad, open the Settings app. On the right-hand side, tap the Bluetooth slider to toggle it on (if it's off). 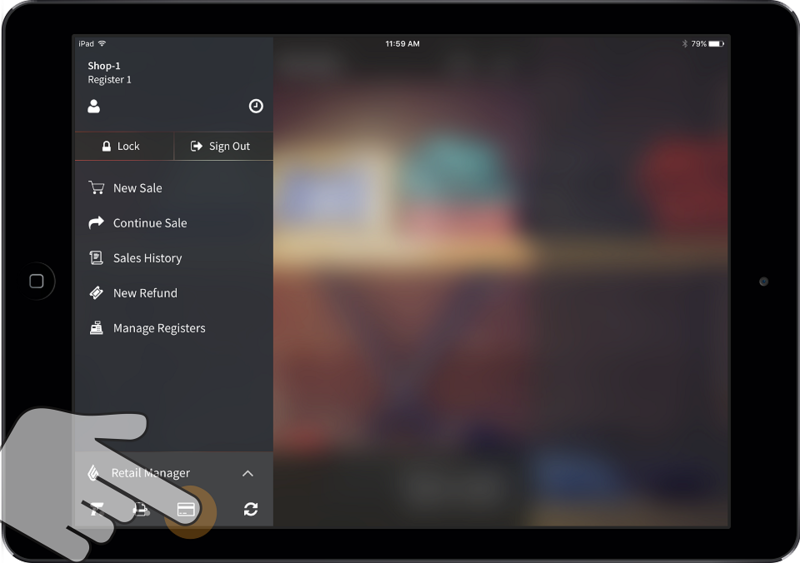 Wait a minute or two for your iPad to discover the iZettle terminal. Then, under OTHER DEVICES (on your iPad's Bluetooth screen), tap the iZetlle entry (that appears there) to initiate pairing. Both your iPad and the iZettle terminal display a random pairing number. Make sure the numbers on both devices match; then, tap PAIR on your iPad and press the blue check-mark key on the terminal's keypad to complete pairing. NOTE: Depending on the version of your iPad, manual PIN pairing may be required. If you're prompted for a Bluetooth PIN during the pairing process, enter the last 6 digits of the terminal's serial number (which you'll find on the back of the terminal). From the Select Gateway drop-down, select iZettle. Assign a Name: Enter a unique gateway configuration name that is more intuitive to you (optional). Select Shops: Select the shops that will be using this gateway to process payments. The iZettle icon and iZettle Settings button display. 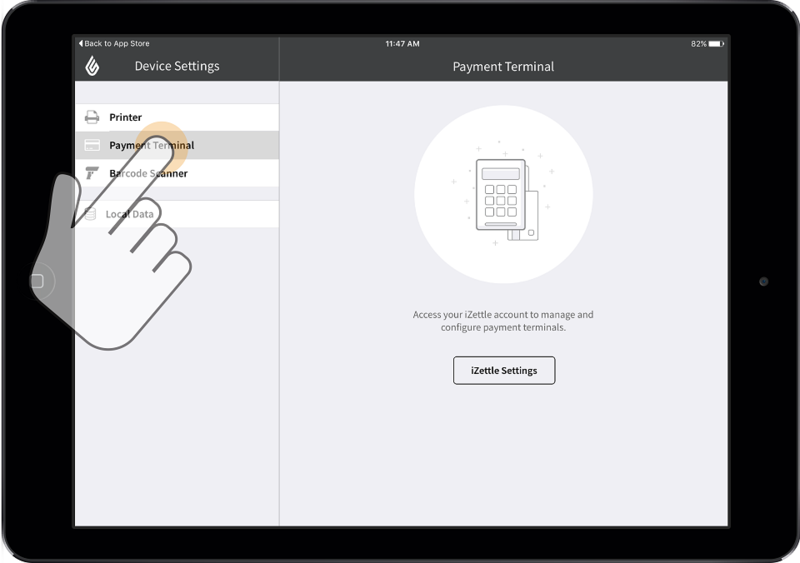 You will need to log in to your iZettle account to enable payment processing via iZettle. Click the iZettle Settings button. Enter your account information when prompted and click Sign In. You are now ready to process payments through iZettle.